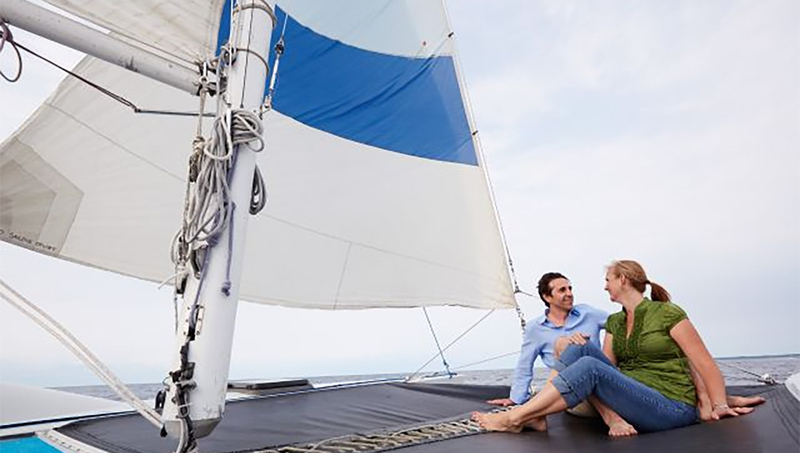 Sail away on a large, comfortable, smooth, catamaran sailboat. Cruise shores, bays, islands of Ephraim, Peninsula State Park and beyond. See bluffs, caves and a lighthouse. Ten 80 minute cruises and 2 hour sunset cruises daily. 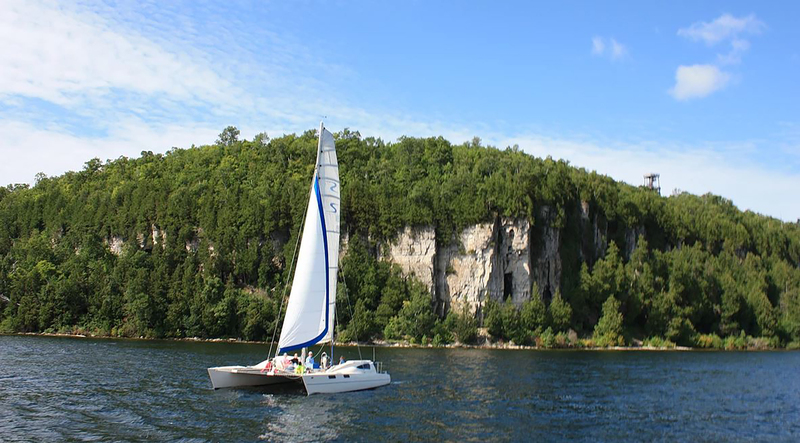 Come see why we are Door County’s most popular sailing charter! Open daily May - October, weather permitting. Cost is $35 per person for the day cruises and $45 per person for the sunset cruise (plus tax). Advance reservations strongly recommended. Deposit in full required for each person , 24 hour cancellation notice needed for deposit refund unless trip is cancelled due to weather. Visa, Mastercard, personal checks accepted. Departure times for the 80 min. day cruises begin at 9:00 am and leave periodically all day. Please call for specific times. Sunset cruises depart at 5:30 pm. Maximum of 12 persons on any trip.